Research makes microRNA case for blocking PDL1; related drug in phase I clinical trials. More research is needed on the toxic components of smokeless tobacco products and the health of people who use them, write the researchers from the Food and Drug Administration (FDA) and the Centers for Disease Control. The patent is a significant step in combating breast cancer because it will pave the way for drug companies to develop chloroquine-like treatments to kill the cancer before it starts, Liotta said. This new injectable 'biogel' reportedly is effective in delivering anti-cancer agents directly into cancerous tumors and killing them. The compound is made from chitosane, a biodegradable material extracted from the shells of crustaceans, to which gelling agents are added. In Addition, Longer Term Follow-Up Single-Agent Data for KEYTRUDA Shows Continued Superior Overall Response Rate and Progression Free Survival Compared to Ipilimumab. 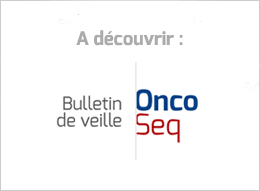 This final analysis of the OS data from coBRIM showed that with the combination of Cotellic and Zelboraf, 74.5 percent of people with BRAF V600 mutation-positive advanced melanoma in the study were alive at one year and 48.3 percent were alive at two years. Years ago, Wired magazine editor Chris Anderson popularized the idea of a “long tail” in Internet commerce. These days, the term has taken on a whole new meaning. It’s good news for cancer patients. Hampton, NJ-based Celldex Therapeutics is the latest example of a cancer immunotherapy company that’s shown glimmers of one of those ‘long tail’ survival curves, which shows people living longer with cancer. The therapy, designed to enlist the body's immune system to fight glioblastoma multiforme (GBM), showed that 25 percent of patients given Celldex's Rintega along with Roche Holding AG's Avastin were alive after two years, compared with no survivors in the group of patients given only Avastin. The portable, non-invasive device uses low-intensity electric fields to slow and even reverse tumor growth and destroy the cancer cells. Roche is banking on atezolizumab to bring in billions in revenue by 2020 as a centre-piece of its strategy to counter the threat of biosimilar versions of its older medicines with new drugs to fight cancer. Perhaps most important, it would be the biggest transaction aimed at helping an American company shed its United States corporate citizenship in an effort to lower its tax bill, in this case by billions of dollars. And it could become a flash point as the presidential race heats up. Ixazomib, picked up in Takeda's $8.8 billion acquisition of Millennium Pharmaceuticals, is a key asset for the Japanese drugmaker as it restructures its global business and moves on from some clinical setbacks. The FDA approval of NINLARO is based on results from the TOURMALINE-MM1 Phase 3 clinical trial, the first double-blind, placebo-controlled trial with a proteasome inhibitor. Study participants received either Ninlaro in combination with lenalidomide and dexamethasone or placebo plus lenalidomide and dexamethasone. Those taking Ninlaro lived longer without their disease worsening (average 20.6 months) compared to participants taking the other regimen (14.7 months). Tafinlar and Mekinist are among cancer drugs Novartis had purchased from GlaxoSmithKline Plc last year. The CHMP recommended granting a marketing authorisation for two blood cancer medicines: Oncaspar (pegaspargase) and Spectrila (asparaginase), both for the treatment of acute lymphoblastic leukaemia. Health experts at Johns Hopkins Medicine are calling on lawmakers and regulators to close loopholes in the Orphan Drug Act they claim give drug companies millions of dollars in unintended and misplaced subsidies and tax breaks and fuel skyrocketing medication costs.